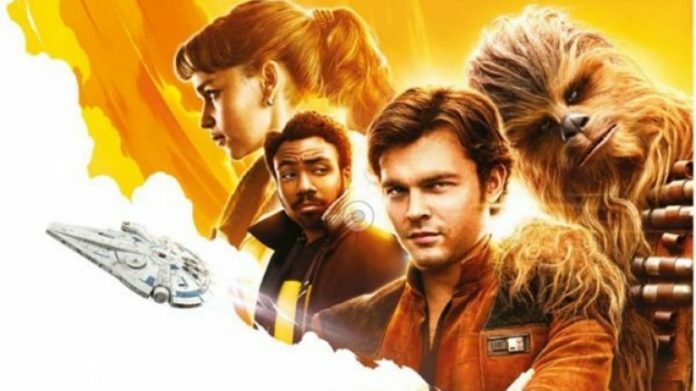 Solo: A Star Wars Story is scheduled to release across the movie theatres on 25th May 2018. Although the trailer released a month back and has hit 11 million views already, the viewers are still clueless about very intricate details, which have not been released by the makers of the film. Fans have finally discovered from certain news and publications that an entity named “Enfys Nest” is supposedly posing as a major threat to their beloved smuggler. Enfys Nest is basically a toy who is enacting the role of a villain in the film and he is not alone. In fact, he is accompanied by his gang Cloud-Rider, who had earlier appeared in a Star War comic book series. Lucasfilm was acquired by Disney in the year 2012 to take forward the legacy movie storyline further. In the same year, the famous Lucasfilm Story Group was established to ensure that the movie series sticks to same rule or precept, which essentially made use of events from the famous movie Star Wars: The Clone Wars. Following this, plenty of comic books and video games were referred to as “Legends” and were not included in the official canon any further. Although fans were disappointed with this decision, with time the makers of the next movie Star Wars Rebels tried to incorporate characters from Legends universe like Thrawn and Rukh as villains of the famous film. Since these characters did not have any backstory related to them, it became easy for the filmmakers to tweak the movie according to their drafted script. The audience will watch the Legend Enfys Nest and his gang Cloud-Riders in action on May 25. Let us know in the comments down below how excited you are by this happy revelation.